Calling all music history buffs! We’re going behind the scenes of Nashville’s historic Music Row and uncovering five things you may or may not know about the fabled area. Time to brush up on your trivia and take note! The Grand Ole Opry changed it all. With the success of WSM’s Grand Ole Opry radio show, thousands of listeners began to flock to the Ryman Auditorium every weekend to see the program live. With this newfound popularity, NBC picked up the Opry for national distribution, which then attracted musicians, producers, A&R men, and publishers to Nashville, and the music industry grew apace. Recording studios saw opportunities (and cheap real estate). With reasonable prices and close proximity to the music industry, radio stations and record studios began to pop up between Sixteenth and Seventeenth Avenue. Once RCA built Studio B, a country division was created, thus representing a huge step towards the “Nashville Sound”. Music Row made country music popular. What was originally known as the barn-dance ethos of the Grand Ole Opry, the development of these commercial studios led to the increase in commercial reach of country music. The music became a product that appealed to the mass audience, including string arrangements, background vocals, and session players. The Country Music Association was created to compete with rock-n-roll music. As a trade organization, they provided marketing techniques to maximize commercial potential. With that effort, country radio now has over 2,300 broadcasts throughout the United States. In 1961, the Country Music Hall of Fame was created to honor those in the business. Over 60 years of greatness (and counting). While the industry has had its ups and downs, Music Row has managed to persevere for the past 60 years. With developers seeing this prime area for what it is, it’s hard to ignore the fact that Music Row is changing. But at the end of the day, the most historical buildings are here to stay and the music made behind those walls will live on forever. New Music Row Listing – Ten Ten on the Row! 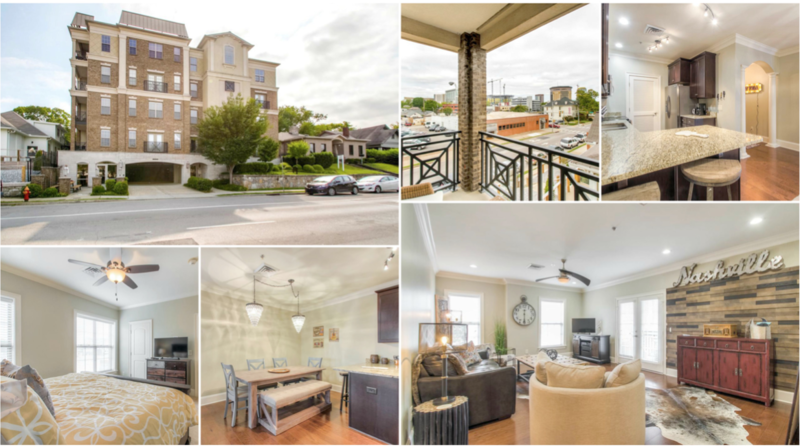 If you’re in the market for a new place and want a beautiful view of Music Row, look no further! Located at 1010 16th Ave S, this spacious corner unit includes an open floor plan, large master suite with walk-in closet & full bath, hardwoods, stainless steel appliances + granite countertops, crown moulding AND a walk-out balcony. See here for the full listing! Are you wanting to buy a home in Music City – Nashville, TN? Contact us, your local realtors, at 615.807.0579 to set up an appointment to find your dream home today! Check out the available homes in one of Nashville’s most historical areas, Music Row here!